Here's what we're thinking about. Have an opinion you'd like to post here? Contact the editor: davestone13@gmail.com. We'll consider it. Stirred, maybe provoked by the State's painful mishandling of Island affairs, the Common Council of the Roosevelt Island Residents Association kicked up its heels over recent State gaffs and may now be aiming one boot up and forward in the direction of RIOC. The long stall of "go along to get along" may be ending. RIOC, the Andrew Cuomo controlled State agency, stole a couple of tactics from the Roy Cohn/Donald Trump book: "Never admit a mistake. Never apologize," then added a Trump only "Fake News" twist. Will Roosevelt Islanders be fooled? Is bad behavior catching? Indifference to community concerns a rite of passage? Only the combined bungling of RIRA's Common Council in the amiable company of RIOC could birth such self-serving results, deceiving and misleading Roosevelt Islanders. Farris Koroma committed a stupid crime, firing random bullets across the East River in the middle of the night to impress his girlfriend. And he exposed Roosevelt Island to a defining moment in the sunlight. Nothing we saw should be a surprise, but it probably was. So far, RIOC's treated fears about contaminated water fountains like a speed bump to be rolled past and forgotten. They tipped their hand with the ill-considered hiring of Healthy Building International Inc., a firm specializing in indoor environmental quality, to run tests, and ignoring serious questions from residents. Now, although that effort's been rejected by unnamed "health officials," we're nowhere near being out of the woods. RIOC's Real Estate Development Advisory Committee (REDAC) meets tomorrow, July 18th. On the agenda: Westview Ground Lease Negotiations. Not on the agenda: consideration of Westview's anxious tenants as it's already been announced that they will go into "executive session," an inflated term that means everyone else will be locked out. According to an exhaustive study by City Comptroller Scott Stringer, New York City contributed "68 percent of MTA's operating budget in FY14 while the State paid for just 4 percent. City also contributed nearly $300 million annually over the last decade in capital funding to the MTA." But to fix the subways, flubbing his way into a word salad that was hard to follow, Governor Cuomo made one thing clear, last week: New York City folks need to foot even more of the tab. It's a challenging bar to cross, given history, but RIOC may have set a new high in lows in its handling of the contaminated water fountain crisis. With thousands at risk over decades, RIOC's main concern turned instantly to saving face. As usual, neither apologies nor acceptance of responsibility were in order at the Andrew Cuomo run State agency. Elected officials representing Roosevelt Island will hold a Town Hall Meeting tonight at 6:00. All are on Governor Andrew Cuomo's Team. There are good reasons to go and even better ones not to expect much. 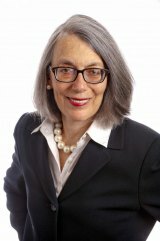 The Westview Task Force began a message to tenants, "While progress in discussions between NYS agencies and WV Owners has not been as fast as anticipated, due in part to RIOC President Susan Rosenthal’s extended vacation in June, still a lot has been accomplished and we are told parties are just inches away." Yes, the vacation variation is new, but haven't we heard that one before, more than once, along the troubled road to affordability?